The common stereotypes say that anglers stretch the truth and don't share their secrets. At CFR we believe that the vast majority of anglers are friendly folks who fish for enjoyment, like to talk about their trips, and swap information so that everyone has a better chance of success. Are you new in town, or interested in some new water? Trying to learn a new way to catch fish? Maybe even a beginning angler? CFR hosts a collection of trips posted by ordinary people. Browse those trips to get a better idea of where you might be successful catching fish somewhere nearby. Are you a more experienced angler? Did you take a trip recently? 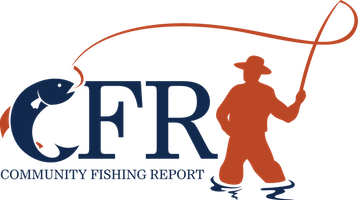 Contribute to the collection of trips on CFR and help out your fellow angler. Anyone can add a trip to the collection, but we ask that folks who want to browse them sign up for an account and promise to give back to the community by letting us know how your fishing trips turn out. We're not asking for a map to your secret fishing spot, but if you visit a popular place to fish then drop the community a helpful tip or two for the next time they hit the water. CFR is owned and operated by Fedora Business Solutions LLC in Boise, Idaho. Right now it's run out of our pockets and spare time.